NHL News : Breaking: Veteran goalie lands on waivers! 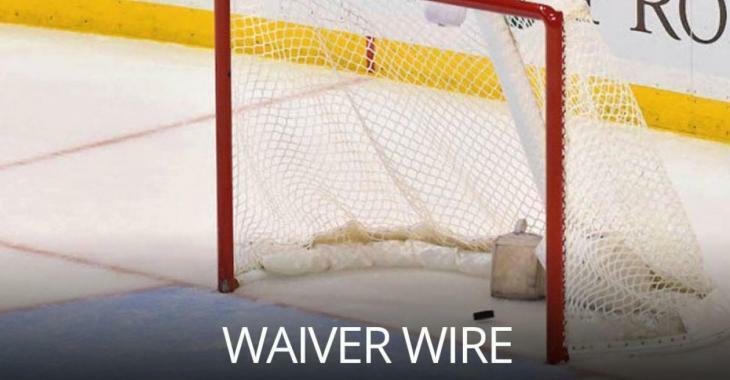 Breaking: Veteran goalie lands on waivers! Since the start of the season, many fans wondered what would happened to the trio of goalies in New Jersey. Devils star netminder Cory Schneider was able to return from hip injury before the start of the team's seven-game roatrip. Once Schneider returns, veteran goalie Eddie Lack was reassigned to the American Hockey League for a conditioning stint. With no back-to-backs on the schedule, the Devils let Keith Kinkaid carry the load to start the season, which means Lack hasn't played in a game since the preseason with New Jersey. The netminder was flipped for Schneider -- who was recalled from a conditioning assignment of his own -- and now we finally know what will happen to Lack. On Thursday, the Devils placed the veteran goaltender on waivers. While the Pittsburgh Penguins and the Calgary Flames have been struggling, especially in between the pipes, since the start of the season, it remains to be seen if they believe Lack could push the star goalies. As of now, many believe Lack will remained in the AHL, unless Schneider or Kinkaid suffer an injury throughout the season.